BAMBOO STRIPS ARE ANCIENT WAYS TO RECORD TEXTS IN CHINA. GIVES A HIGH SENSE OF PRECIOUSNESS AND TACTILE QUALITY IRREPLACEABLE BY DIGITAL MEDIA. 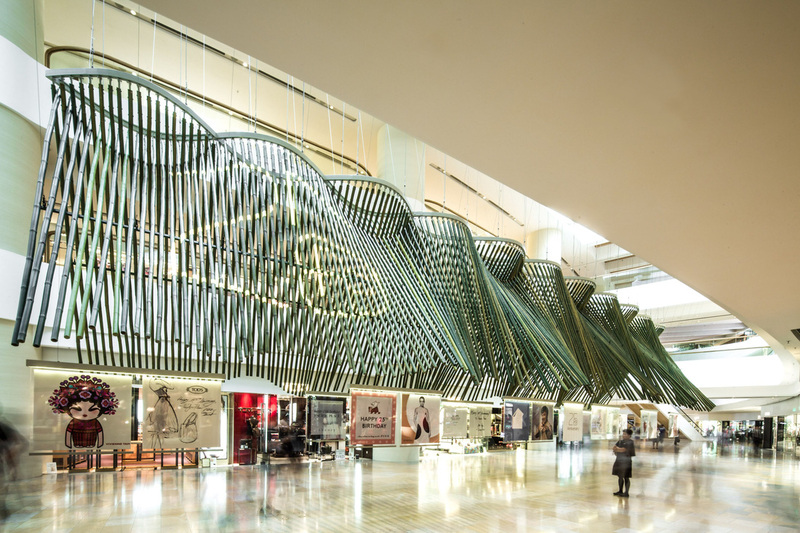 TO CREATE A CONTINUOUS SILK-LIKE SCULPTURE WHICH DEFINES A HALL OF FAME UNDERNEATH. 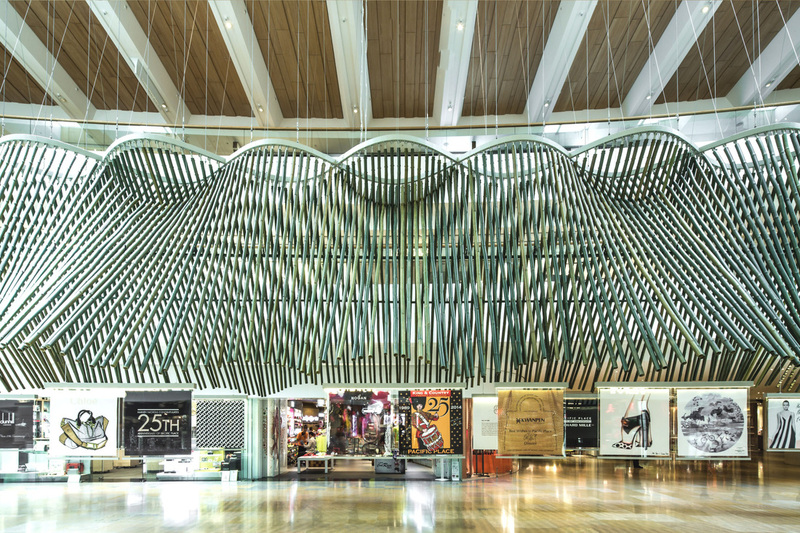 IT HOUSES 25 HUGE BIRTHDAY CARDS BY RENOWNED BRANDS BLESSING THE MALL'S 25TH ANNIVERSARY. IS SUSPENDED FROM THE CEILING WITH WIRES. THE BAMBOOS ARE CONNECTED TO THE METAL FRAME WITH PIN JOINTS. BY ERECTING ONE BEAM AT EACH SIDE.